Live Weather Cam from La Parguera, Lajas, PR. 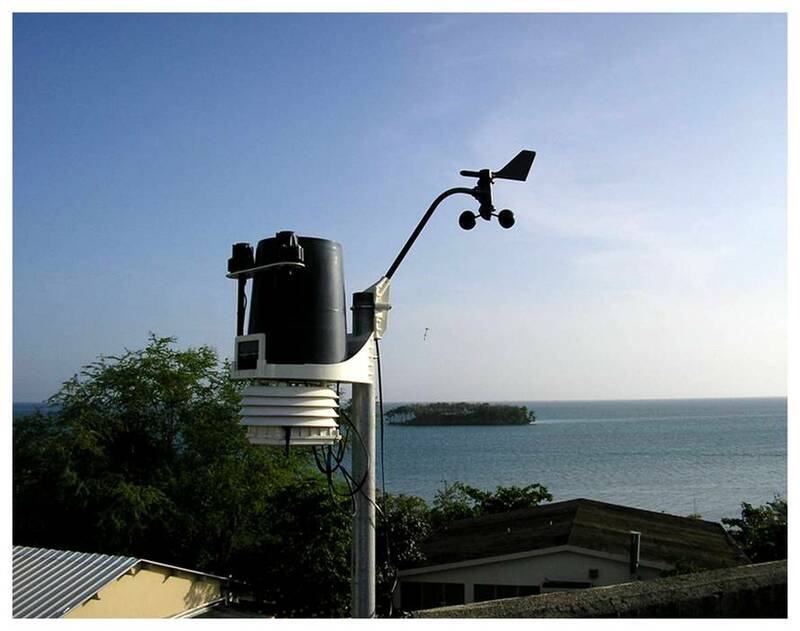 Current Weather data is available from a Davis Vantage Pro 2 Series weather station installed in the Biological Oceanography Laboratory at Magueyes Island Field Laboratory, in Lajas, Puerto Rico. This system provides measurements of barometric pressure, temperature, humidity, precipitation, wind speed, wind direction, and solar irradiance, that are updated every 15 minutes.